Room 1 is our family room situated on the ground floor. It can sleep a family of 4 (2 adults and 2 children). 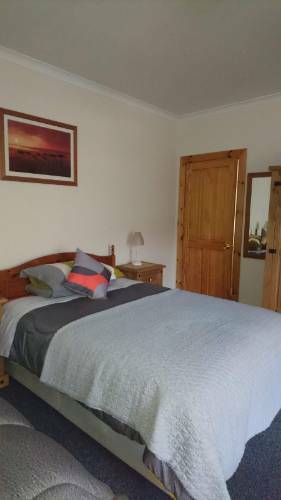 A large spacious room with en-suite shower & wc, Freeview TV, tea & coffee facilities. This room is available from £75 based on 2 sharing with breakfast included. Single occupancy rates are available from £35 children under 12 are charged at £10.00 each including a small breakfast. Room only rates are also available on request.